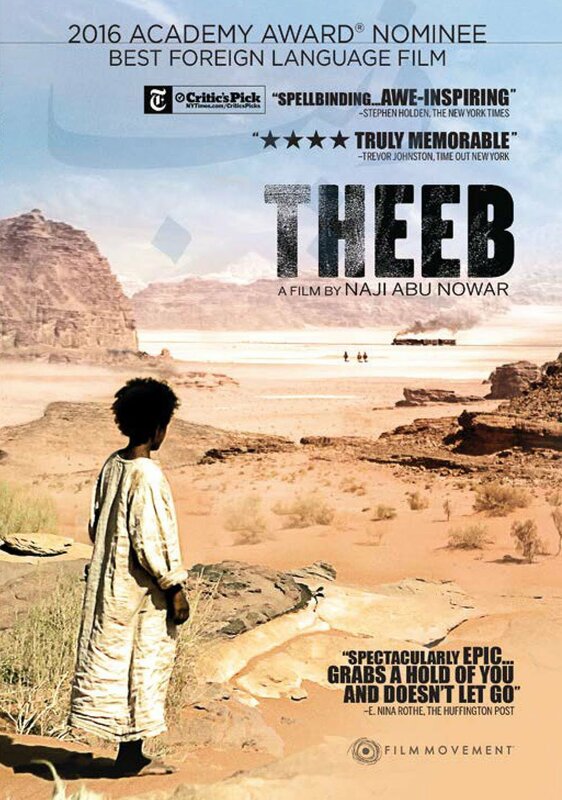 THEEB translates as wolf, and it doubles as the name of the main character of this eponymously titled movie from director and co-writer (with Bassel Ghandour), Naji Abu Nowar. The movie was one of the past year's nominees for Best Foreign Language Film and was submitted via the country of Jordan, though it was heavily backed financially by the United Arab Emirates. "Wolf" is an appropriate moniker for our very young hero, too. The initial screen crawl of a Bedouin proverb having to do with the wolf becomes both clear and telling by the end of this strange and generally entrancing film that proves once again: Blood is thicker than just about any of those other "ties that bind." The filmmaker, pictured at right, offers up a slowly unfurling desert adventure set in 1916 -- at a time when North Africa was undergoing a lot of change: modernization (the coming of the railroad), revolution (within the crumbling Ottoman Empire, which controlled the area in which the film takes place), and of course World War I (during which the Ottomans aligned themselves with Germany). Despite all this, Theeb is resolutely small-scale, with a cast of major characters that basically includes an older brother (Hussein Salameh, below, right) and younger brother (our Theeb is the latter), a British soldier (Jack Fox, shown at right, two photos below), the soldier's guide/interpreter, and one in a small group of outlaw marauders who attack this ill-equipped foursome. How this plays out -- slowly but not uninterestingly and set against some ravishingly beautiful desert landscapes -- makes up the movie's plot. There is a good deal of violence along the way, a fierce gun battle, some suspense and both help and betrayal coming from unexpected sources. The movie has been called an Arab western, and the description is not inapt. But for all its nods to the western genre, the film is mostly a kind of dark and forced-by-necessity coming-of-age tale, as Theeb must make decisions and take actions that will push him from boyhood into young manhood with alarming speed. 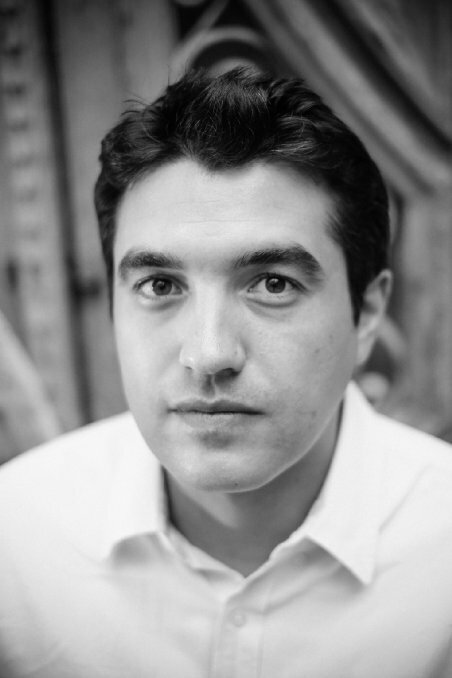 Performances are fine throughout, though there are only two of these that count for much: Jacir Eid's as Theeb (in the three photos above) and Hassan Mutlag's as the member of the marauders. How these two interact, learn from and help one another provides the most memorable portion of the movie -- the outcome of which is a stunner, though not really unexpected, given the time period, place and people involved. 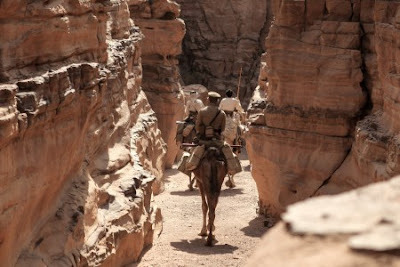 From Film Movement and running 96 minutes, Theeb, after playing a limited run in theaters all across the country, will be available on Blu-ray and DVD this Tuesday, May 17 -- for purchase or rental.